Looking for best outfits making websites ? a place where you can make the outfits combination online easily?and ideas how to make a perfect outfit combo Tutorial? Outfit trends answers all these question and brings top 5 website to create stylish outfits for men and women. There are many reason or you can say advantages of using these sites.Few people love to make a different clothing combinations as a part of their fashion hobby or projects.It is the one of the best source to promote your own outfits on these popular sites.You can also use these images for your own fashion blog also with the your site logo as a copy right . You can now select colors of your choice along with the pattern and fabric you prefer. Now a days, with the click of your finger you can search everything. You can easily style your own look for a party or an eve.There are plenty of websites where they provide different categories. From outfits to the choice of your accessories. You can decide and select all to make your outfit. Here we will be discussing the Top 5 Sites. This website provides you with a choice if you prefer to design an outfit for a men, women . You can then further select the category of your choice. This website acts like your adviser or a consultant. You can easily create your outfit with dragging your favorite items. One the emerging site in this category. This site has a very easy interface. You can easily drag and drop any item from the right side to the left side and then adjust it easily. 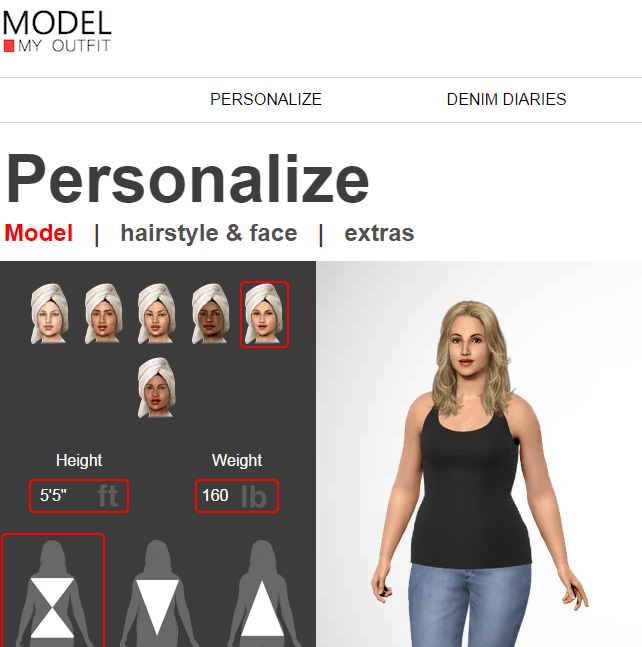 It is a software that lets you build your own outfit. You can create something unique, the variety of dress and skirt styles are available. You can then customize the outfit of your choice. Girls can especially take a lot of help from these websites. There’s no more hustling. You can easily create it at home and order online. These days there are countless websites and applications. You can select and design some interesting combinations. Here we have mentioned the best websites that can build your wardrobe. These websites allow you to select your outfits according to your size preference and designs. Looklet allows you to play around with different accessories and clothes. You can combine and put outfits together from the categories. Jackets, tops, pants, shirts etc. are available. Looklet itself mention on it’s website “ You can create endless combinations of your processed items on any model of your choice. You control everything from styling down to model facial expressions. You also have the possibility to change scenes and add effects to match your styling. It’s easy to change styles on your images to promote different types of sales. On no 2 we have ASOS.A name that every fashionista knows.It comes in top companies ruling the fashion business. One of the most extensive used site for making outfits online. Asos provides a huge category for accessories along with other outfits. This website provides you different categories along with different looks and trends. Accessories, shoes, tops, belts, bags and jewellery is provided at the website. You can also follow the top looks for the season.I personally found it more good for men outfits maker. And finally, on top of the list, we have Polyvore. One of the best online outfit making website and my personal favorite too.I have personally created many outfit combinations on this site and that had gone viral on social media.It is the easiest way to organise the outfits. You can build your own outfit by the choice of your brand and. You can see how everything looks together. 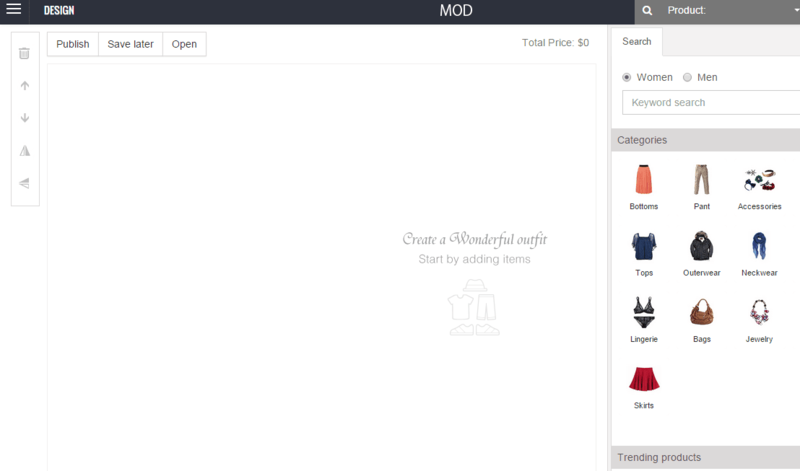 Drag and drop the items in your cart and create the perfect look. Polyvore also provides the link from where you can purchase the outfits of your choice. This site also gives fashion advice and a lot more.You need to make the account before that. You can also participate in best outfit competition.The best thing which i love about polyvore is, that you can clip any image from internet directly to your images collection. This provides you with the edge over others that you are not restricted to use images available on Polyvore only. Another great feature which I love is that to make your outfit combination look more good you have many options. You will find out all this yourself once you will use it and get to know why it is on number 1 in the list. Polyvore has been acquired by ssense.com and its audience is not really happy about it. Now that Polyvore is no more what are sites like Polyvore? what are the alternatives to Polyvore? You can use www.fashmates.com or above-mentioned sites to make outfit sets. Creating your own outfit online for free is nevertheless a great fun.I ts not easy to achieve perfection in the first place but after experimenting and getting ideas from other top voted combinations you can make a perfect combo too. At the end of this post you will see different suggestion posts “You May Also Like ” in which all the outfits have been made on these above-discussed sites. I hope you will get many ideas from that too.Good Luck with your first outfit. Polyvore is no longer polyvore. They sold the website to ssense. I use to love it until they changed the website so you can’t make outfits or “sets” anymore. I know! And I was so frustrated! There is a petition to bring the old Polyvore back and they only need about 4 k more signatures. Yeah that’s true and I’m so sorry for it(( Is it possible to create outfits on ssense? I AM SO MAD ABOUT IT. @Catherine… no. Come on guys, Polyvore will come back… I can feel it! Fashmates is a website that’s a lot like Polyvore. They’ll even allow you to upload your data from Polyvore to create your own sets. However, their set creator is severely lacking. It works better in the app, but not by much. It’s a decent alternative, but they have some major updating to do if they want to be half of what Polyvore was. I just went to polyvore for the first time in a long time. I am livid. I don’t need another stupid shopping site. I’m also pretty p.o’d everything I made is gone. F them.